These cases were made by Tom to display flowers in the proper environment for each species. We are thinking of building and selling some if there is interest. There seems to be a need for specialized cases such as these, but we don't know if the cost to produce them will be prohibitive. The first flower case was a gift from our daughter and son. A twenty gallon long aquarium, plant light, waterfall and potting medium for violets was a Christmas gift. Tom made the case out of walnut, making a wonderful display case for our parlor. The second case was made out of walnut and grew out of a need for a controlled enviroment to keep the humidity high for our growing collection of orchids. It was designed as a gothic chapel type structure complete with lights and a fan for air movement, which orchids need. 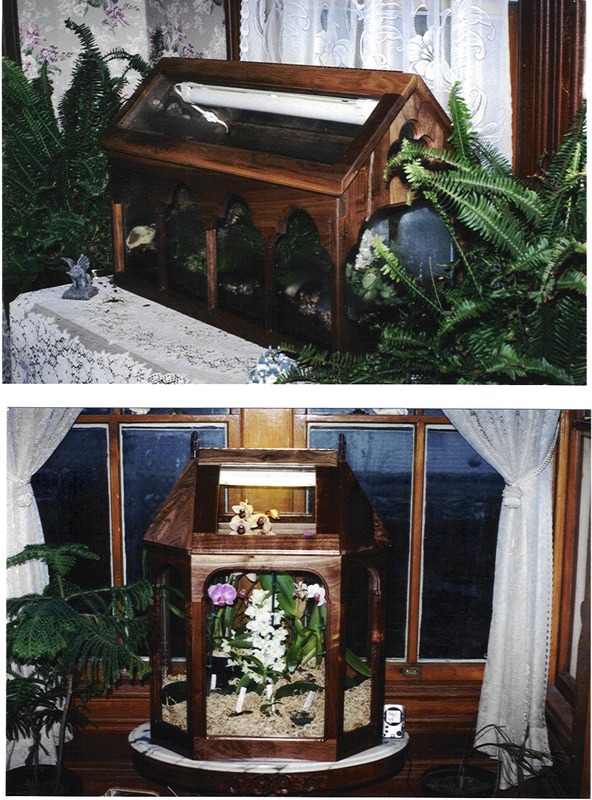 The next case was built around a fifty five gallon fish tank and is large enough to display several orchids. It also has a grow light, a fan in the left gable, and also has a thermometer/hygrometer in the right gable. 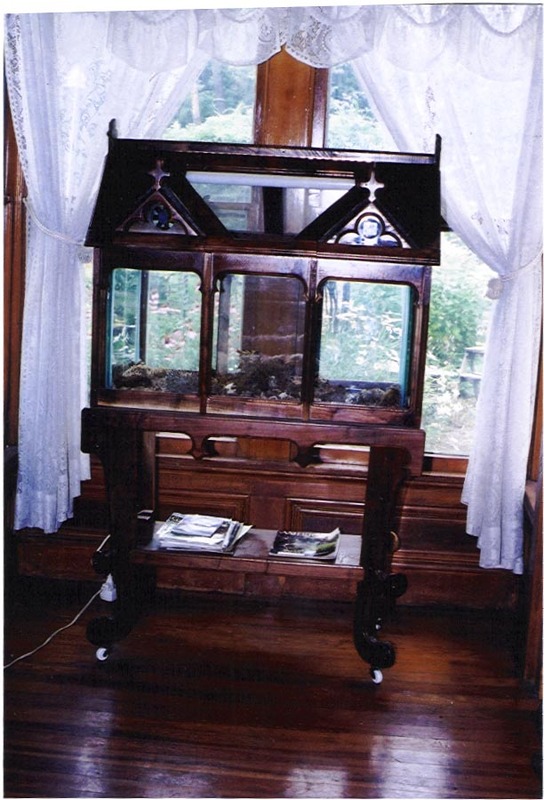 The size created a weight problem as the aquarium is quite heavy and the walnut case added to the problem, so a table to mount it on was also built. There is a shelf to display other plants, and is finished with reproduction ceramic casters to be able to move it. It has been a nice addition and everyone who has seen it has fallen in love with it!